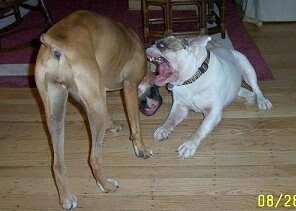 Max and his cousin Wednesday duking it out over a bone at a BBQ! 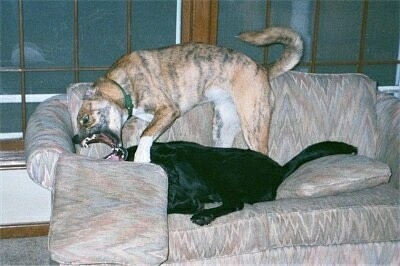 Max is the Golden Retriever and Wednesday is a Pug. Chandhara's Chamise Lily, an 11-month-old female Afghan Hound dance-playing with Yukionna, a 2-year-old female Akita. 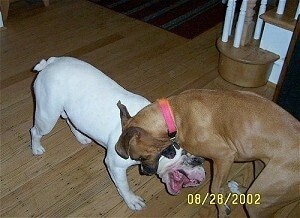 This is Cammie and Roxy playing in the backyard. Cammie (black/tan) is 9 years old and Roxy is 6 years old. Cammie is Roxy's mom. 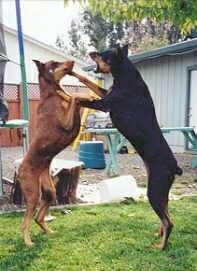 They are both Doberman Pinschers. On the left is Eeyore. 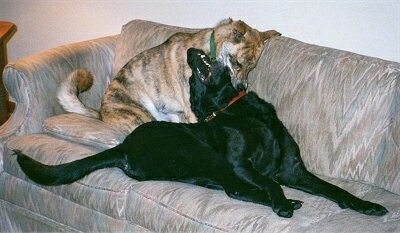 He is a 2.5-year-old black Lab / German Shepherd cross. 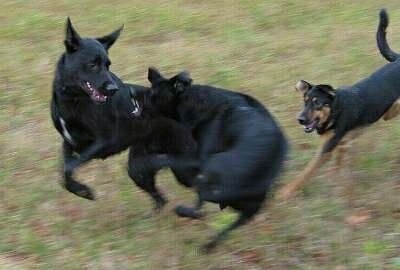 In the middle is Bowwow. He is a 1-year-old black Lab cross. And zooming in from the right is Roo. She is a 2-year-old German Shepherd / Whippet cross. 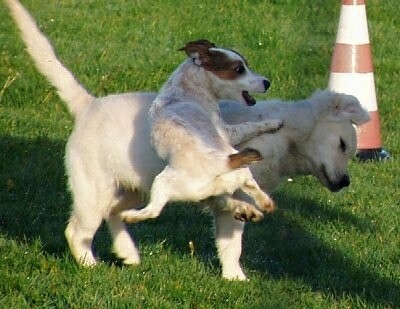 Buffy the Jack Russell playing with her friend. 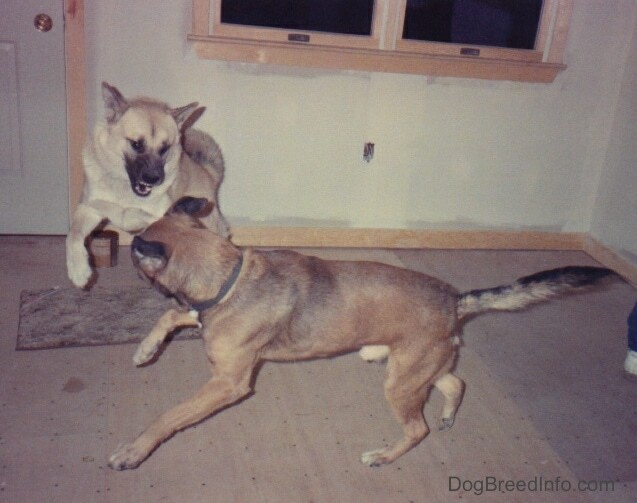 Eve the Boxer / Akita mix and Kodi the black Lab think this kind of play is the best, even though it looks like they're killing each other.